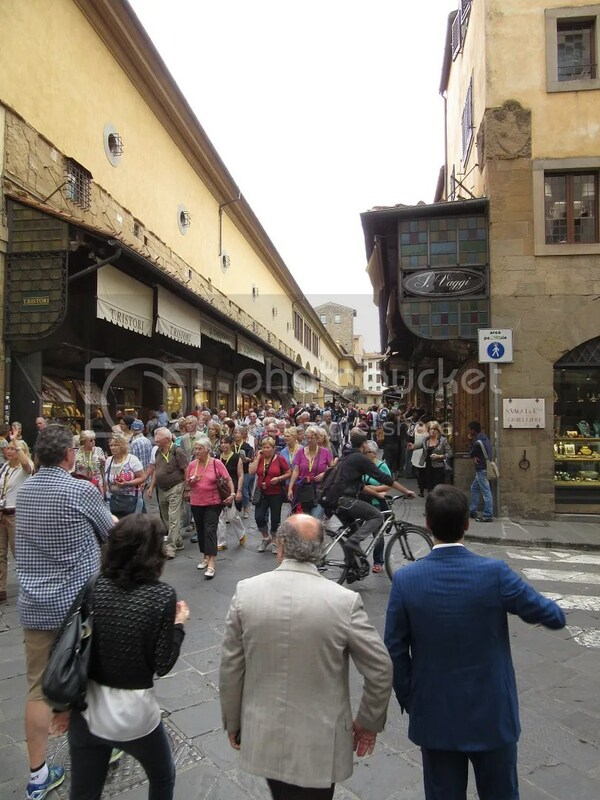 I promised more leather, and as we set out into Florence it was exactly what we found! I had managed to set us up in a hotel just up the road from the famous San Lorenzo Markets! 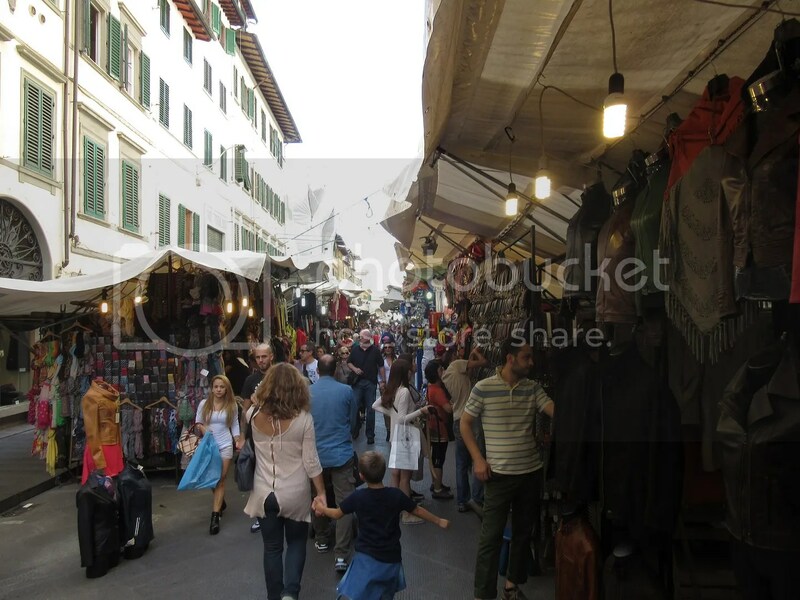 I had been looking forward to going to these markets since first finding out about the online, once I got there though, I was a little disheartened to find the sales push was so intense. It made it quite overwhelming. 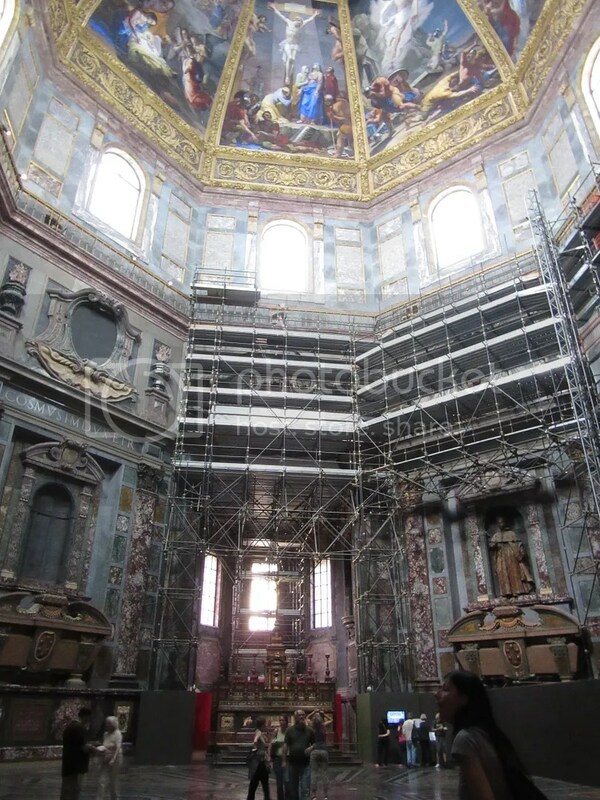 Luckily, we were able to escape into the Medici Chapels. They were awe inspiring, magnificent, and quite massive! It really puts you in your place and helps you reassess your perspective on the world. Being so close to so many Michelangelos also has the ability to make you feel very small and fleeting. After all, what have you done recently that might still be around in 600 years, let alone have people studying your life and your life’s work? Makes you think. Our week seemed to be centred around the Ponte Vecchio. 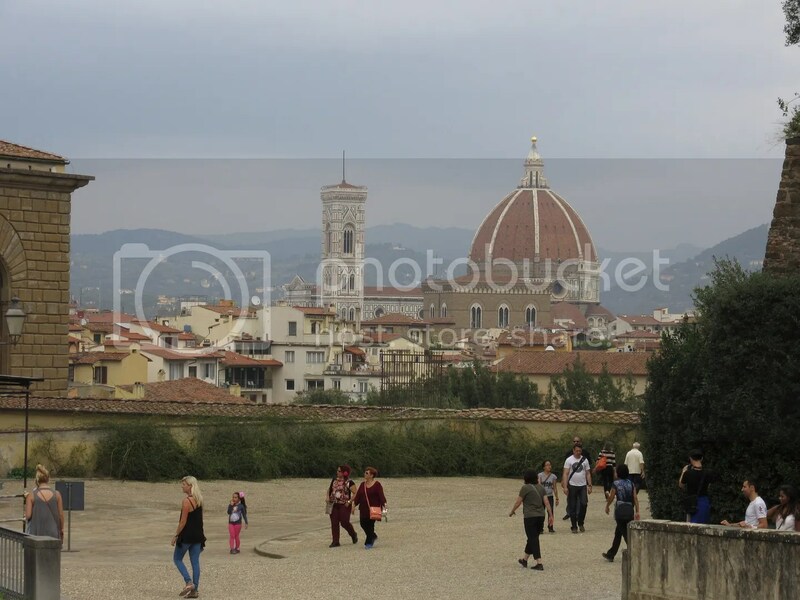 It became the heart of our Florence experience and we walked over it many times while getting from one place to another. We had to head over the bridge to get to the Pitti Palace. 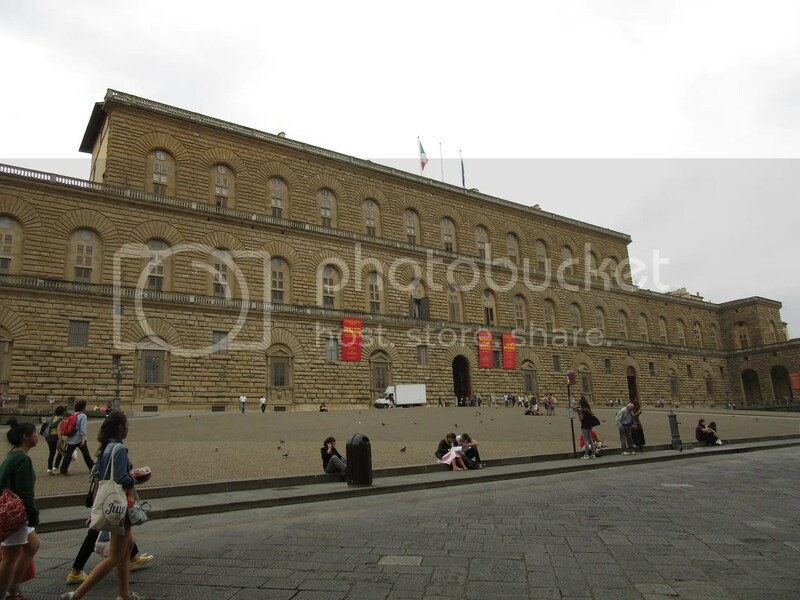 The palace was bought by the Medici family in 1549 and became their chief residence. 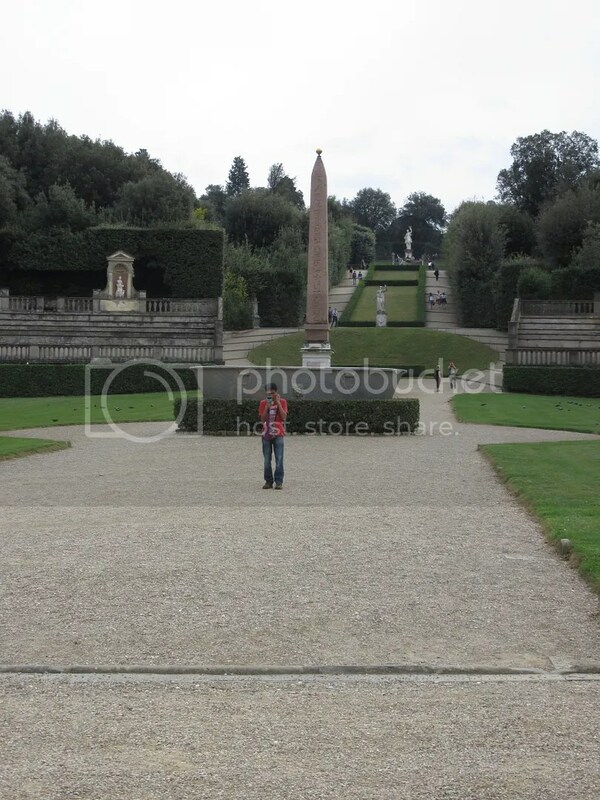 I could have spent days in the connected Boboli Gardens, just walking the grounds with a camera, taking pictures, painting water colours, and having picnics. No matter where you turn the view was spectacular and the gardens immaculate. But what completely took my breath away was the view from the top, over the back wall. This to me was Tuscany. The rolling hills, dotted with olive trees, the orange and yellow buildings. 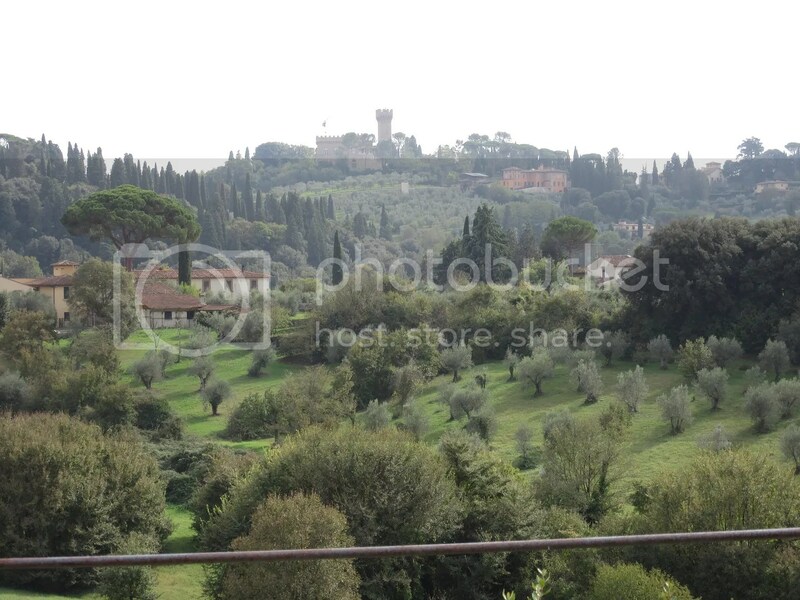 In that moment, with my breath taken away, I was forced to fall in love with Tuscany. And I let it take me. Of course, I’m not entirely sure that the costume museum and exhibition that was going on within the palace didn’t hurt either! It is incredibly hard to not be moved by such a wealth of opulence when it surrounds and envelopes you as it does within the palace. 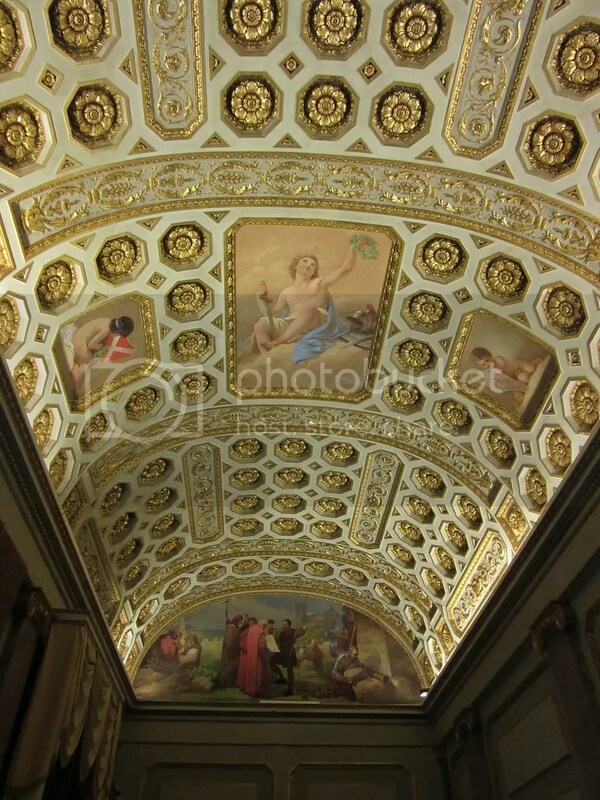 The overt displays of wealth make it easy to see how the locals with equal measure both revile the tyranny of the Medici family, and are grateful that they gave the city everything. 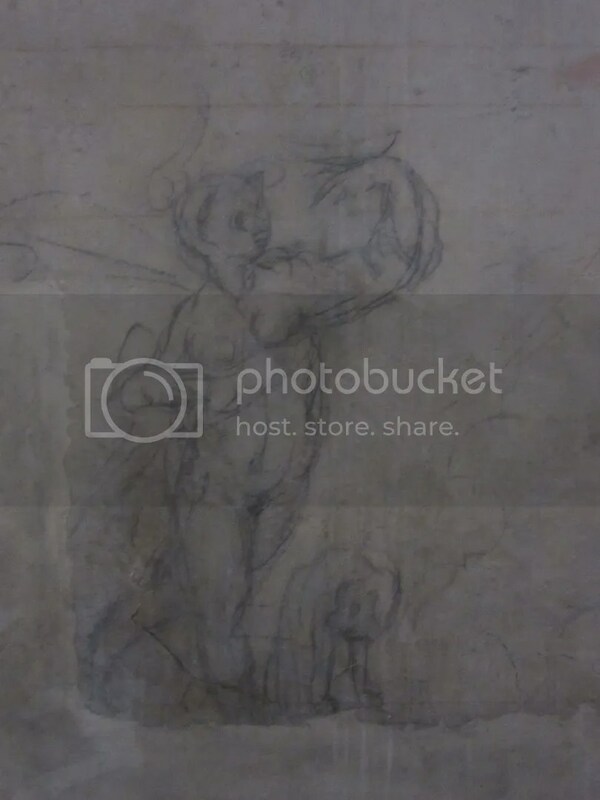 Florence knows that it would be nothing without the Medici. Wow! What a view!! I’ve not been to the gardens, but now I think it will have to be one of our primary destinations when we visit next. How lovely! 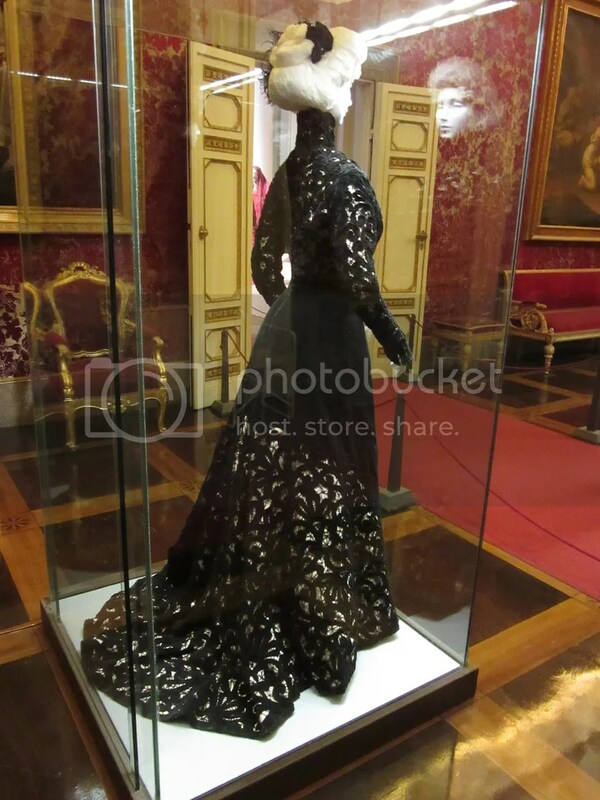 What was the theme of the costume exhibition? The dress is intriguing! I can highly recommend it! I loved the palace and everything about it, but the gardens were where I could spend all my time! Were there loads of fancy dresses? That sounds like it could have been quite a magnificent exhibition. There were loads of fancy dresses! In other circumstances I would have done an entire post on just that exhibition!